Celebrate STEM in your school with a collection of experiments from Science+Nature magazine, which you can download for free. Whether in the classroom or at home, these fun, easy-to-do projects encourage students to explore the world around them. From recycling paper, reducing and reusing plastic waste to growing the mycelium of fungus, the activities show that science is in everything - providing a wide variety of cross-curricular links. We would love to see how you use these activities – please share your pictures and experience with us on Twitter using the hashtag #BSW19 @theweekjuniorlearn. Learn about the importance of recycling and how to help save trees by making your own recycled paper. Learn all about the element iron, why it is added to breakfast cereal and how you can extract it. Get pupils gardening with this easy guide to growing your own grub. Learn about the essential nutrients all plants need to survive. How can plastic be created from milk? Find out in this fun experiment. Grow your own salt crystals and discover how they form inside the Earth. Build a simple solar-powered oven to explore how solar energy works. Project spooky 3D images into thin air using a smartphone screen and learn about how holograms are produced. Explore forces with your class by running this exciting water rocket experiment. Construct a great glider that doesn’t need wings, and learn about the engineering behind flying. Grow some mycelium of fungus and find out about this strange lifeform. Discover how clouds form and use this power to generate real clouds inside a plastic bottle. Find out how you can recycle plastic bottles to make a water sprinkler while learning about water pressure. Have you tried Science+Nature in your school yet? 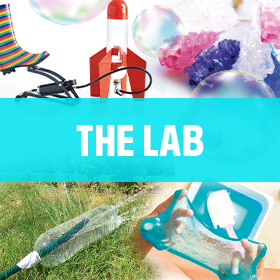 All of these wonderful experiments and activities are just a small part of what is available within The Week Junior Science+Nature magazine every month. This fantastic magazine, written specifically for 8-14 year olds is designed to unlock the fascinating world of STEM subjects for 8-14 year olds. 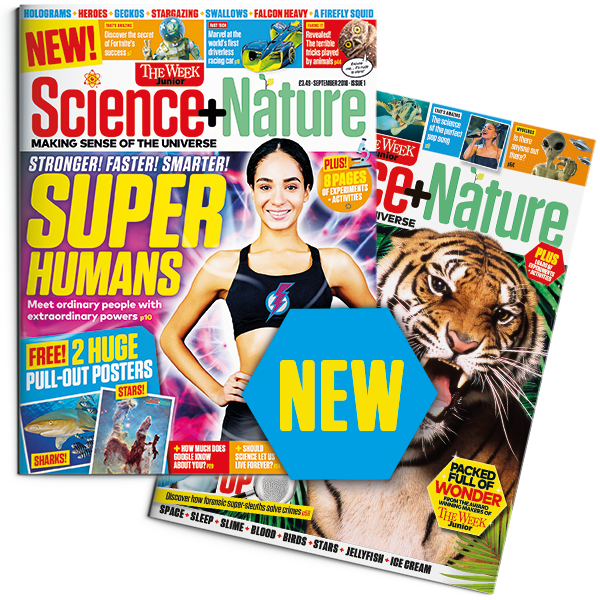 Each issue is jam-packed with mind-blowing facts and incredible information, that will ignite your pupils' curiosity and passion for discovery, as it reveals the hidden ways that science is in everything. It also provides you with a simple and easy way to add breadth and depth to your science curriculum.